Let’s get one thing straight – Eyes Of TX is no prognosticator. No reading minds here. The tarot cards have long since been packed away. No gypsy headdress tucked in the closet. Along with that (or perhaps not along with that) was the lack of a math degree from the 40 Acres. But, if one does the old school arithmetic, the Big 12 and the Big 10 have now officially switched places. With Colorado heading west to the PAC-10, and Nebraska heading east to the Big 10, the remaining Big 12 conference universities were left to their own devices to decide their fate and that of the conference as a whole. Eyes Of TX has long predicted – for right or wrong – that Texas would be the deciding factor in the conference re-alignment race. And, indeed that was the case these past few weeks. Apparently, orange runs in our blood, and our blood is the Big 12 glue. In the event you’ve been dodging tumbleweeds in nowhere America, Texas (and the remaining Big 12 schools) decided last week to decline invitations from other Division I BCS conferences and keep the conference together. For the likes of Kansas, Kansas State, Iowa State, Baylor and Missouri, the decision was a dream come true – no one wanted them. They were scared for their monetary lives. They had a vested interest in keeping the conference together, latching on to any hopes of the Big 12 staying alive, and locking in the powerhouse universities like Texas, Texas A&M and Oklahoma on their schedules for years to come. Eyes Of TX, though, has had mixed feelings about the conference-formally-known-as-the-Big-12 and its impact on the ‘Horns. In part, Texas may miss out on a longer term opportunity – what if this new conference doesn’t work out, and those conferences so willing to extend invitations this spring are no longer interested down the road after getting shunned the first time around? Will Texas’ brand recognition still help them out of a desperate situation 5, 10 or 20 years down the road if the “new” conference doesn’t work out? On the other hand, if Big 12 commissioner Dan Beebe’s plan is legit, and the league can expect a $7-10 million bump in their next TV contract, maybe its worth it. Of course, Texas made sure that the teams with the most exposure got the most dollars in their pockets – for that we can all be thankful. Add to that the fact that Texas will get what they so desperately desired (and other conferences weren’t willing to allow) with the university’s own TV network – an additional $3-5 million in revenue. Now you’re talking SEC-type money. But, without a conference championship game (which they won’t play with only 10 teams), that is lost TV revenue as well. Of course, none of the future TV money is guaranteed today. It’ll be another year before those negotiations begin in earnest. The fact of the matter is, the “new” Big 10 is expecting to bring in a significant amount of revenue from a new TV contract when they’re losing the Denver television market (Colorado) and a marquee brand name in Nebraska. There is as much fuzzy math involved here as there is with trying to lower the government’s deficit. It’s not adding up on this writer’s abacus. On the plus side, Texas fans will still get their annual rivalries with oklahoma and Texas A&M. But, the draw of potential PAC-10 match-ups would have made that Texas sweet tea a little sweeter than Iowa State, Kansas, Kansas State, Missouri and Baylor on a consistent basis. For now, until TV money is guaranteed, Eyes Of TX has to believe the move to keep the Big 12 together was a selfish move by Texas athletic director DeLoss Dodds and the powers that be. They seem to have missed out on a huge opportunity by joining forces with the PAC-10 and competing head-to-head with the “new” Big 12 and the SEC, hell, even the ACC who just locked in to a lucrative TV deal this past year. 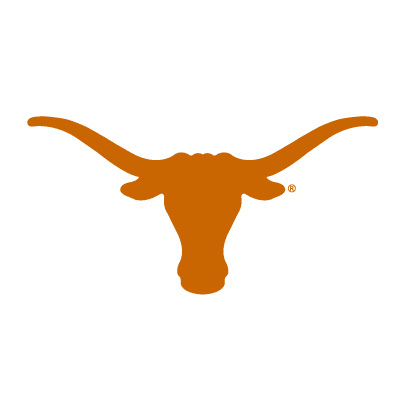 Perhaps the money comes, perhaps Eyes Of TX gets to see more games in the Pacific Northwest based on the Longhorns’ forthcoming television network. Perhaps the league falls apart. It remains to be seen, which reinforces the idea that there are no mind readers here. What do you think? There’s been a lot of talk about conference realignment in the college ranks – even more so in the last week, given the Big 12’s deadline to Nebraska and Missouri to make a commitment to stay or go in the conference by this Friday. Yesterday, all eyes were squarely on the Cornhuskers, as athletic director Tom Osbourne was deflecting questions like only a former politician-hopeful can, was he referred to leaving the Big 12 and joining the Big 10. In public relations terms, he confirmed nothing. Of course, the kicker was that the Big 10 claimed they hadn’t even extended invitations, but nonetheless Nebraska was chomping at the bit, akin to inviting themselves to the party in high school. Would Nebraska be the surprise team to make the first move? If so, who would follow the Big Red Machine? Well, hold your horses. The PAC-10, meanwhile, had swung the doors wide open earlier this week when they approved expansion, even going so far to say the group didn’t need to reconvene before extending invites to prospective teams – in other words, they already had a good sense for who they wanted on board. Rumors flew – just Colorado? What about adding six teams, or nearly the entire Big 12 South division? Would Texas, and thus A&M, go? Who would be the odd teams out if the Big 12 disintegrated only 15 years after its inception? Today, the dominoes started to fall, but not with the universities initially thought to make the first move. The PAC-10 offered, and Colorado accepted. With it, Colorado brings to the Premier Athletic Conference (yes, that’s really what “PAC” stands for) a football program in shambles, an athletic budget in more need of an economic stimulus package than the government’s, and a typical 6-year graduation rate (at least that’s what they told EyesOfTX at a campus visit 10+ years ago). In fact, earlier this week, the NCAA released their academic progress reports (APRs), and Colorado was one of the schools that made the “naughty” list. It’s not a good start to help the PAC-10 keep up their academic standards. Where are Stanford and Cal to stand up and complain about that? Will this academic debacle lead to another Dan Hawkins lecture YouTube sensation? All told, this the beginning of the end for the Big 12. With Colorado out, and Nebraska apparently on the brink, the bricks are crumbling. Even TMZ is now reporting from a source that Oklahoma State is heading to the PAC-10, and are just waiting to make the official announcement. What we know from football coach Mike Gundy is that we should talk to him, because “…he’s 40 and he’s a man…” Who else is in line? Will Texas and Texas A&M hold out as long as possible, to see if other bidders (like the SEC, perhaps?) come calling or get something locked up sooner than later? Are Kansas and Kansas State a joint deal, similar to Texas and Texas A&M? Could the Jayhawks end up in Conference USA, or even the Big East (as that conference potentially try to fill gaps from Big 10 thieves as well)? Kansas will likely look for a conference that has strong basketball ties, so that probably rules out the Mountain West. If KU ends up anywhere other than a top 4 conference, it will be sad day for the history of their basketball program akin to North Carolina being part of the Southern Conference and playing Appalachian State and Citadel every year. Sad. It’d also be a tough day for football coach Turner Gill, who in EyesOfTX’s opinion, deserved a chance to make a name for himself in a big-name conference after building a great program at Buffalo. Gill might be bringing his new team right back to a mid-major conference. Baylor’s another big loser in this discussion, especially given they’re on the brink of reviving their athletics program from a years-long fallout from incidents from the men’s basketball program. With their football team on the rise, and both men’s and women’s basketball making significant impacts in recent years, a move to a new, lesser-known conference could be both good and bad. Wait, why aren’t they in the “Big 12 South” package that PAC-10’s exploring? Quite honestly, rumors have been circulating that Cal-Berkeley has major issues with the religious affiliation of the university, and secondly, Baylor lacks the political prowess in the Texas state legislature to drive a deal these days (like they did when the Big 12 was formed). For a new conference affiliation, however, Baylor’s got to see the good: they might finally be able to compete in football. Let’s face it, although they had a lot of hype this last season, Baylor football is a bottom-dweller of the Big 12 (and South division specifically) every year since the league’s inception. In a new, less-“loaded” conference, they have a chance to put themselves on the map and go bowling for the first time in many, many years. The bad: they lose the clout of being in a major conference for the first time since pre-Southwest Conference days, not to mention they still aren’t allowed to dance on campus. Quite honestly, EyesOfTX will miss the opportunity to get the Cyclones on the field so long as Paul Rhodes is coach – he seems like a good guy who’s passionate about where he’s at and brings the best to that program. It’s an exciting time for football in Ames. 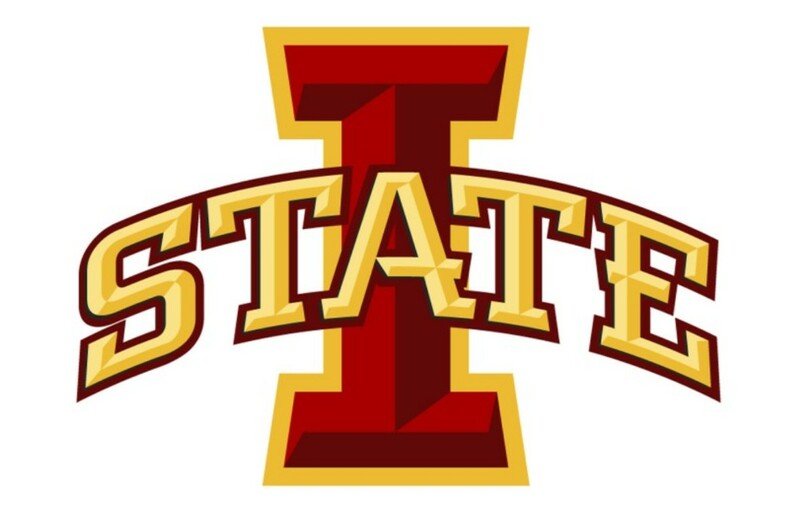 But, what’s the best move for ISU? Get the Big 10 to come calling…especially if the conference is now cold on Missouri. Plus, it makes sense given their in-state and Big 10-affiliated Hawkeyes are causing trouble in Ann Arbor and Columbus these days. They talked a big game early, and now it looks like it just all might backfire. All signs pointed to the Big 10 initially having some interest in Missouri, but now that well seems to have dried up – something BP could only wish for in the Gulf of Mexico. With Nebraska on the horizon for the Big 10, and as that conference continues to mull over Notre Dame, Syracuse, Rutgers, and Pittsburgh, the Tigers all of the sudden appear in the rear-view mirror. Now’s the time for M-I-Z-Z-O-U to start a nice courting relationship with the SEC. What about the conference affiliations with bowl games? Well, the Big 12 will definitely give up some nice deals for post-season play if it indeed goes away, but a new conference affiliation also might benefit from a majority of Big 12 schools bringing those bowl games to the negotiating table with the new conference(s). Right now, the Big 12 has a total of eight bowl game affiliations, including: Fiesta/BCS, Holiday, Cotton, Alamo, Texas, Yankees Stadium (new), Insight, and Independence. Compare that to the PAC-10’s six-game (and weaker) bowl pull: Rose/BCS, Alamo, Holiday, Sun, Las Vegas, and Emerald. 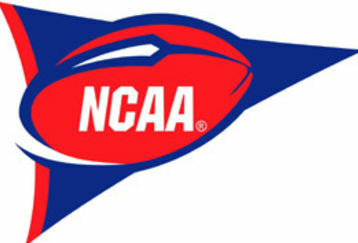 Both conferences are nearing bowl game negotiations – supposedly with the Big 12 in 2012, and PAC-10 in 2013. Perfect timing for conference re-alignment news. Lots of moving parts…it will be interesting to see what plays out through the weekend. Expect more blockbuster news later today or Friday, as more conferences and teams get antsy so as not to get left in the dust. Texas, where you headed?